Our latest episode of Freakonomics Radio (you can download/subscribe at iTunes, get the RSS feed, listen live via the box above, or read the transcript here) is about education reform — sort of. Most ed reform addresses the supply side of the equation. That is, what should teachers and schools be doing differently? But this story is about the demand side, the students themselves. What if there were a cheap, quick, and simple way to lift some students’ grades? Glewwe and Park learned that, while 10 to 15 percent of the young students in Gansu had vision problems that could be corrected with eyeglasses, only two percent of the kids who needed glasses actually had them. So, working with local health officials, they set up an experimental program to get free glasses to kids who needed them, while also establishing a control group of kids who needed glasses but, at least during this experimental phase, wouldn’t get glasses. In the podcast, you’ll hear about a) how effective the glasses were in raising test scores; b) the surprising fact that the take-up rate for the free glasses was relatively low, and possible explanations for this; c) how this intervention compares in efficiency and cost to the typical ed-reform interventions taking places around the world. 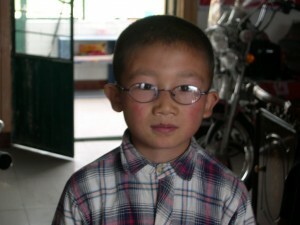 You will also hear how curious it is that many poor schoolkids in China (and/or their parents) wouldn’t accept free glasses that would help them see better while many Americans spend hundreds of dollars for eyeglasses with clear-plastic lenses, which don’t help them see better at all but do help them look better. The main talker in that section is Harvey Moscot, an optometrist and president (and fourth-generation member) of the legendary New York eyewear shop MOSCOT, which happens to run its own eyeglasses program for needy kids, called the Moscot Mobileyes Foundation Inc.
GLEWWE: There’s nothing that comes through really strongly across a variety of countries or contexts, like ‘oh, this is the thing that matters.’ Like, you know, the level of the teacher’s education — sometimes that matters, sometimes it doesn’t. It’s quite frustrating, actually, to try to understand what’s going on. It’s pretty clear that it’s complicated. And some people would say what really matters is sort of the incentive for all the people involved. If everyone has the right incentive, then learning will take place. But even that, I did some research in Kenya where we tried to give teachers prizes for having kids with higher test scores, and it didn’t work very well. So, we’re still trying to learn a lot, and there’s a lot of people doing research on this topic, but we still have a lot to learn. PARK: I think that a lot of the people going around trying to think about how can we improve education and learning tend to focus on how we can improve schools, and teachers, textbooks, et cetera. And this problem is a little bit different, because it’s really about the behavior of students and their parents. Sometimes those get simply overlooked in people trying to find solutions. … And I think there’s a whole area of future potential to think more about the behavior of students. 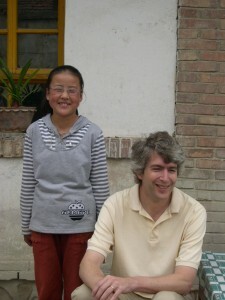 … [I]n China, the biggest payoff is actually getting into college, because there is a huge return to higher education. … So, undereducated youth are increasingly disadvantaged. MOSCOT glasses “The Nebb”: is $255 is a small price to pay to look “cool”? 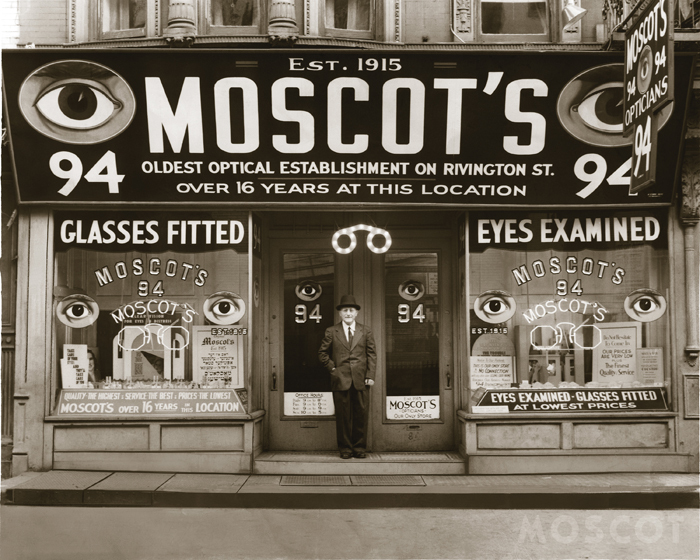 MOSCOT: It doesn’t surprise me. I don’t think the fashion aspect of eye wear in China has taken place like it has in America. Famous Chinese icons probably are not wearing their glasses like they are in America. In America, eyeglasses are the coolest thing you can put on your face right now. From any hip-hop star to any idol of a sports star that wears them when they’re not playing their sports influences children’s perception of eyeglasses. Happens in this country too -- guess the influence of celebrity glasses isn't quite as far reaching as it could be. I taught in a high poverty school (>90% free/reduced lunch) and I can't tell you how many kids "forgot" their glasses, had broken glasses or "broke" their glasses, left them in their locker etc. Several times when I called home about another issue is when I'd learn a child should have been wearing glasses all along. Sometimes a backpack and locker search would turn them up, sometimes it wouldn't. When glasses did break, it was often very hard to get the repairs done in a timely way -- there weren't any neighborhood options. Also, many of the kids got one pair of glasses and then didn't ever get new ones, if they even got to the eye doctor again. I've been wearing glasses for 45 years, since I was 9. My teacher was the one that noticed I needed them. I always sat on the front row and squinted. But the options back then wear 3 pairs of glasses. THREE! Baby blue, pink and charcoal grey. I went for the grey because it was different. Now the choices for kids are endless and they're cool! The only problem is the cost. I think the fact that people now have vision insurance and FSA's has driven up the cost. It's what ever the market will bear. This was a great podcast and the research from Park and Glewwe reinforces many of the situations I have faced as a teacher of visually-impaired students. One of my challenges is trying to get students to wear eyeglasses when they need to wear them for educational purposes. Many times, students will claim that their eyeglasses are lost, stolen, or broken. Even when schools set up events for free eye exams and eyeglasses for students, there is no guarantee that students will use their eyeglasses in the classroom. Sometimes, parents would rather seek services from me rather than send their children to an optometrist believing that I will also give their child additional tutoring and additional materials/technologies when it is unwarranted. It's amazing to think that an invention as old as eyeglasses is continually neglected for a variety of irrational reasons. I liked this episode; what a great and simple solution! I'm no historian but I remember hearing that during the "great leap forward" in China intellectuals were the target of attacks and one stereotype of intellectuals included wearing eyeglasses. Could this have anything to do with the current cultural stigma? I was born and raised in Gansu and this has nothing to do with "great leap forward". More seriously, I also had glasses as a kid and hated the damn things! They certainly weren't cool to nine-year-olds in the early 1990s! I grow up in Gansu and this is an particularly interesting story to me. My eye sight was ruined too, because of the two factors I think. One thing is that my parents did not pay much attention to my eye sight and the other thing is that there was bad stereotypes against kids with glasses. What is the name (and artist) of the song that played out this episode? When listening to Park and Glewwe I repeatedly had to think: Are the deep gravelly voices consciously or unconsciously affected to gain credibility?